Gaming Partners International started off 2018 with a very successful show at ICE in London. 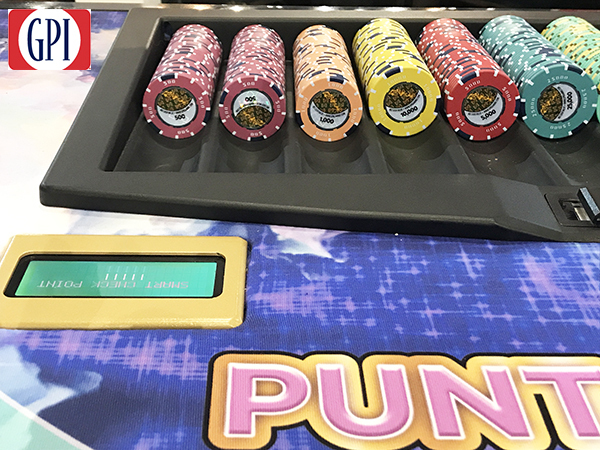 As a leading worldwide supplier of table game products, GPI was proud to showcase its full suite of gaming currency, RFID solutions, playing cards and layouts. We met with many existing customers and also had many new inquiries about the innovative products that GPI offers. GPI’s most exciting news from the show, came from the announcement of our global licensing and development agreements with BrainChip and Xuvi to develop our advanced Automated Table Solution (ATS). ATS combines GPI’s exclusive SMART RFID and CIS with BrainChip’s accelerated solutions for artificial intelligence (AI) applications, and with Xuvi’s immersive data analytics and automation for intelligent data-driven decisions. Our ATS solution will provide a comprehensive table solution for currency security, game protection and trend analysis, accurate comping, and marketing automation. GPI highlighted its exclusive high-frequency SMART RFID products and solutions that offer our customers one of the strongest anti-counterfeit deterrents available. SMART offers the latest advancement in casino currency RFID technology and is available on all of our currency brands. When used in conjunction with our Casino Inventory System (CIS) software, SMART delivers a complete currency tracking and authentication solution and one of the most robust, anti-counterfeit, currency security solutions available. GPI offers all the necessary components from SMART RFID currency, to antennas and readers. Customers were given demonstrations of several of our new and innovative currency security offerings. Our new Focus security feature is a taggant added to the chip material of our BG injection molded chips making it ideal for authenticating chips in stacks or racks. Similar to our LaserTrack, Focus is only revealed with a special, invisible laser device. In addition, our BG V-Series customers now have the option to incorporate our new and unique Hollow Shot into their chips. The Hollow Shot is a one-of-a-kind indentation in the chip’s outer ring and serves a dual purpose in the chip’s design and counterfeit deterrence. In addition, customers can add micro-text and taggants to the Hollow Shot for an additional level of currency security. Other products featured at ICE included our quality casino playing cards and layouts. GPI introduced European customers to our new line of premium paper playing cards, Paulson Aces. Our Paulson Aces are manufactured using a heavier, high-grade paper stock and offers superior snap, feel and durability. Also featured, was our full line of our Gemaco brand of playing cards which includes both paper and plastic card types. Our full graphic EGC layouts, available in two finishes, are durable and an economical choice for all table games, were on full display with vibrant designs and colors.